Flanked by huge sandstone cliffs, this winding road takes you into the small hamlet of Rhodes. 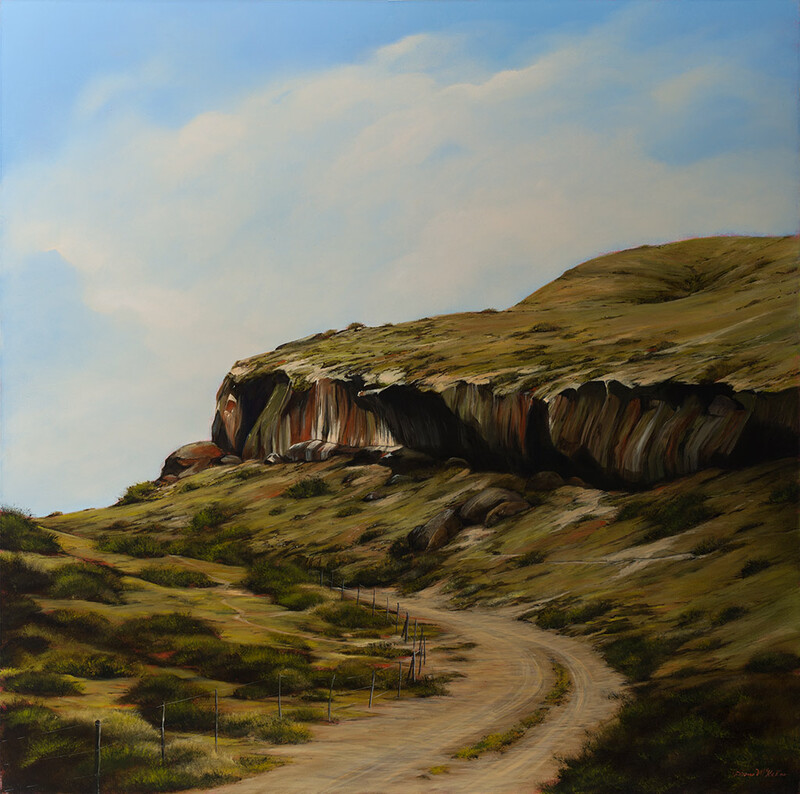 This painting formed part of Donna’s exhibition entitled “On the Road Again”, which was held in 2015 at The Studio Kalk Bay. The underlying theme being movement, change, something new.